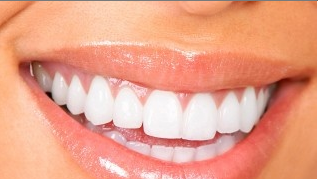 Teeth whitening is a very popular, safe and effective procedure in cosmetic dentistry. With teeth whitening, you can lighten the internal colour of the teeth which may have discoloured due to ageing and food and drinks such as coffee, tea or red wine. All professional whitening systems utilise the active ingredient hydrogen peroxide, which has been safely used for many years in the treatment of gums and other oral soft tissues. As the hydrogen peroxide breaks down, oxygen enters the enamel and dentine, bleaching coloured substances within the tooth, while the structure of the tooth is unchanged. Tooth whitening is a very safe and effective procedure, but it is normal to experience some tooth sensitivity during treatment. A fluoride gel tooth mousse or toothpaste for sensitive teeth can be used to relieve this symptom. Two systems of professional tooth whitening are available through our Coburg surgery – either Zoom in-chair whitening or take-home whitening kits. In-chair whitening involves the application of a gel containing hydrogen, which is subsequently activated by a bright light. The entire procedure takes about an hour and the results are immediate. It is sometimes recommended that in-chair whitening is followed up by home whitening. Home whitening involves the wearing of the whitening gel in custom-made mouthguards for half an hour during the day. Results take 1 to 2 weeks, but some patients can require longer, even up to 6 months to remove discolouration caused by some antibiotics or other heavy discolouration. Your teeth will always remain lighter than they were after a professional treatment. To keep them looking their best, occasional (12-24 monthly) touch-ups will be required. This involves a few applications of home whitening. For professional teeth whitening in Melbourne, book an appointment with one of our qualified cosmetic dentists at Coburg Dental Group. Call our Melbourne dental clinic on 03 9386 1805 or make an appointment online.